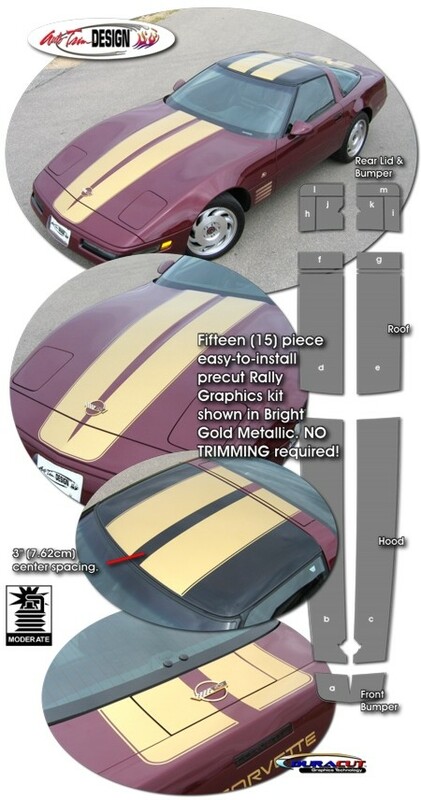 Make your '84-'96 Chevrolet Corvette C4 Coupe stand out with this Bumper, Hood, Roof and Rear Deck Lid Rally Stripe Graphics kit. Coupe (shown) kit comes with fifteen (15) pieces. They're PRECUT and ready to install here in Gloss Black - there is NO TRIMMING required!